Q Andrew Morrison wants to know: "Can you tell me the team line up for the Scottish Football League v Football League in season 1958-59? I think the game was played at Ibrox in October 1958. In particular, I should like to find out who wore the number 3 shirt for the Scottish League." A Eric Caldow was the left-back in this team on October 8th 1958: Brown (Dundee), Grant (Hibernian), Caldow (Rangers), Turnbull (Hibernian), Toner (Kilmarnock), Mackay (Hearts), Hamilton (Hearts), Fernie (Celtic), Bauld (Hearts), Baird (Rangers), Auld (Celtic). 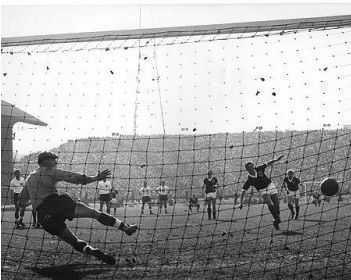 The match was a 1-1 draw with Sammy Baird scoring for the Scots and Brian Clough for the visitors. The venue was, as you suggest, Ibrox. Q Jim McVean asks: "What was the actual date of the Scottish League Cup Final 1993/94 Rangers v Hibernian?" A October 24th 1993 was the date and Celtic Park the venue when Rangers beat Hibs 2-1 in front of a crowd of 47,632. Ally McCoist had been out for a long time with a broken leg and had played just one full match for Rangers that season. He came off the bench to score the winner within a couple of minutes of stepping onto the pitch. Rangers other goal came from Ian Durrant with a Dave McPherson own goal replying for Hibs. Q From Graeme Allen: "Who captained the Scotland and Republic of Ireland sides in their recent matches against the Faeroes and Turkey?" Q Chris Green asks: "How many hat-tricks have been scored in the Scottish Cup Final? Who has scored these goals? What was the year, the final score and against what team?" A There have been FOUR hat-tricks in Scottish Cup Finals. The first was by Dr John Smith for Queen's Park against Dumbarton in the 1881 replay at Kinning Park. The Spiders won 3-1 in front of around 10,000 spectators. Incidentally, Smith was quite a remarkable character. The Mauchline-born doctor also played for Scotland, founded Edinburgh University's football team and was also a regular Rugby Union player - good enough to be a Scotland reserve. The next treble came from Celtic's Jimmy Quinn who scored all his team's goals in their 3-2 victory over Rangers in 1904. 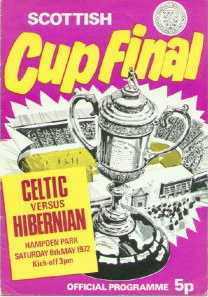 This was the first Scottish Cup Final to be played at the present Hampden Park and was watched by a crowd of 64,472. It was almost 70 years later before there was another hat-trick and again the scorer was a Celt. John 'Dixie' Deans scored the second, third and fourth goals in his side's 6-1 demolition of Hibernian at Hampden in 1972 before a crowd of 106,102 - the record 20th century Cup Final score. The last such feat to date came in 1996 when Gordon Durie notched the third, fourth and fifth strikes in Rangers' 5-1 win over Hearts. The attendance was only 37,760 but that was a capacity crowd as Hampden was awaiting its final rebuild. Before anyone asks, we'll sort out the League Cup as well. 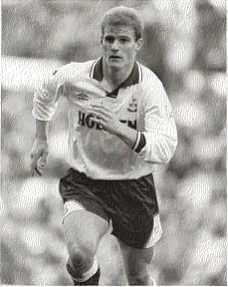 Although a much younger competition it has actually produced more Final hat-tricks - NINE in total. Davie Duncan got the first in East Fife's 4-1 replay win over Falkirk in 1947-48. Then Willie Bauld grabbed three when Hearts won their first trophy in almost half a century, beating Motherwell 4-2 in 1954-55. Three seasons after that came the legendary Celtic 7 Rangers 1 match. Billy McPhail scored a hat-trick for the Bhoys that day. In 1963-64 Jim Forrest went one better and scored FOUR in Rangers' 5-0 victory over Morton. This remains the only occasion when a player has scored more than three goals in a major Scottish Final. In 1968-69 Bobby Lennox scored a hat-trick when Celtic beat Hibs 6-2. When the same teams lined up again in the 1974-75 Final it was an even more remarkable occasion. 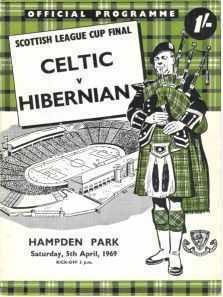 'Dixie' Deans scored three for Celtic and Joe Harper did likewise for Hibs as Celtic won 6-3. This is the only major Final where a player has scored a hat-trick for the losers and also the only one in which two players scored trebles. . It also established Deans in the history books as the only player to score hat-tricks in both the Scottish Cup and League Cup Final. And we can't leave this topic without mentioning the two most prolific scorers of recent times. Ally McCoist won over a doubtful Rangers support with his hat-trick against Celtic when the Gers won the 1983-84 League Cup Final 3-2. The equally-idolised Henrik Larsson of Celtic became the first non-Scot to score a cup-final hat-trick with his one-man demolition job on Kilmarnock in the 2000-01 Final. That last hat-trick is the only one seen in person by this writer and it remains a painful memory to this day. Q From David and Lorraine: "What are Celtic and Rangers lowest crowds for: A. home league game B. home (in Glasgow), paying European game in, say, the last 30 - 40 years?" A I'll take the easier part first. In European matches the lowest crowd at Ibrox is 10,423 who watched Rangers beat Maltese team Valletta 10-0 in the Cup-Winners Cup first round on Sep 28th 1983. Rangers were already 8-0 up from the first leg. For Celtic it's the crowd of around 8,000 that attended the 5-0 win over Basle,also in the first round of the CWC on October 9th 1963. Celtic held a 5-1 advantage from the first leg. The problem with League attendances is that until fairly recently many were given as estimates. The Scottish Football League has accurate attendance records from 1961 onwards but guards these like the Crown Jewels. In the past 40 years the lowest League gate at Parkhead is the 4,956 who watched Celtic v Dundee on Apr 24th 1984. The lowest Rangers figure is more problematic. The match at Ibrox on May 23rd 1979 against Partick Thistle is quoted in 'Rothmans' as just 2,500 but other publications have listed a figure as high as 6,000. Games in 1972 against Ayr United and Dunfermline Athletic on Apr 27th and May 1st respectively are both given as 3,000 by 'Rothmans' and 4,000 elsewhere. There is a definitive answer but unless the Scottish Football League puts these figures into the public domain the best I can say is that it is likely to be one of the matches mentioned above. Incidentally, the Football League in England has no such reticence when it comes to gates. Attendances for every League game from 1925-26 onwards are freely available. In Scotland we have to make do with seasonal totals which reveal the worst average attendances in the past 40 years to be 18,390 for Celtic in 1983-84 and 16,400 for Rangers in 1981-82.